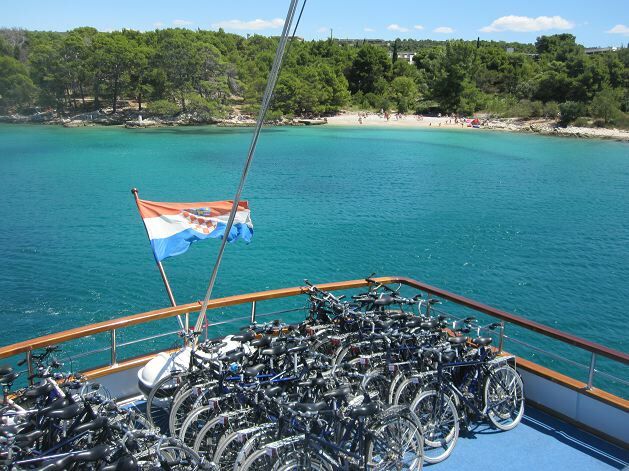 Cycle Croatia and the National Parks with Ease! 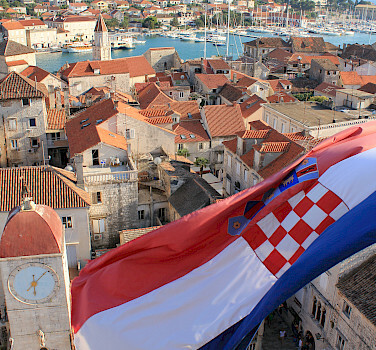 Croatia is a country full of beautiful, well-kept coasts with thousands of islands, reefs, and bays. Numerous Roman ruins, charming hills, and breathtaking beauty awaits you here. 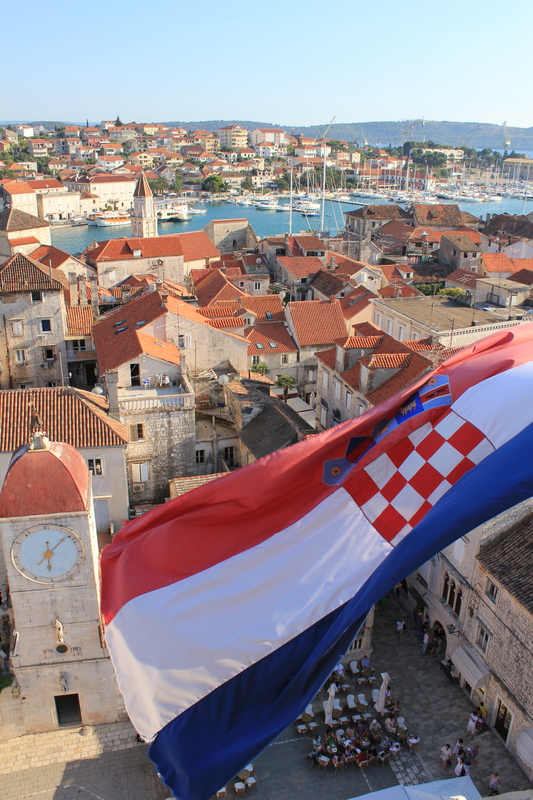 Situated along the Adriatic Sea, Croatia stretches from the slopes of the alps to the banks of the Danube and Drava Rivers. 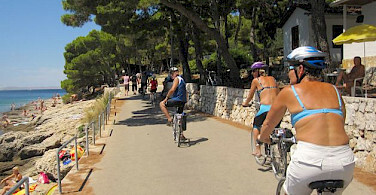 If you have always desired to cycle in Croatia but have worried about the mountainous terrain, you need worry no longer. 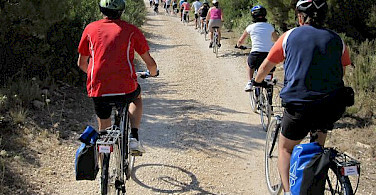 You can bike Croatia and will conquer the hills almost effortlessly. You will not be denied the breathtaking views that these mountain climbs provide. 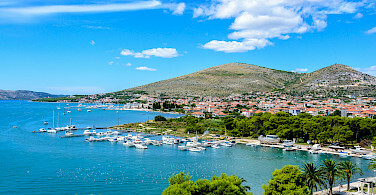 Trogir can easily be reached via Split Airport. 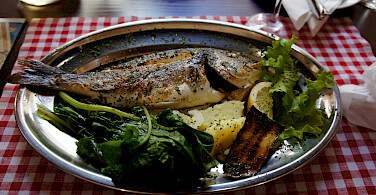 You will discover the charm of the Adriatic in a very unique way. After a hearty breakfast each morning, you cycle through history and culture and at midday meet the ship at a harbor for lunch. In the evening, the ship will be waiting in the next harbor for you to dine as the sun sets, followed by a stroll through the historic harbor towns. 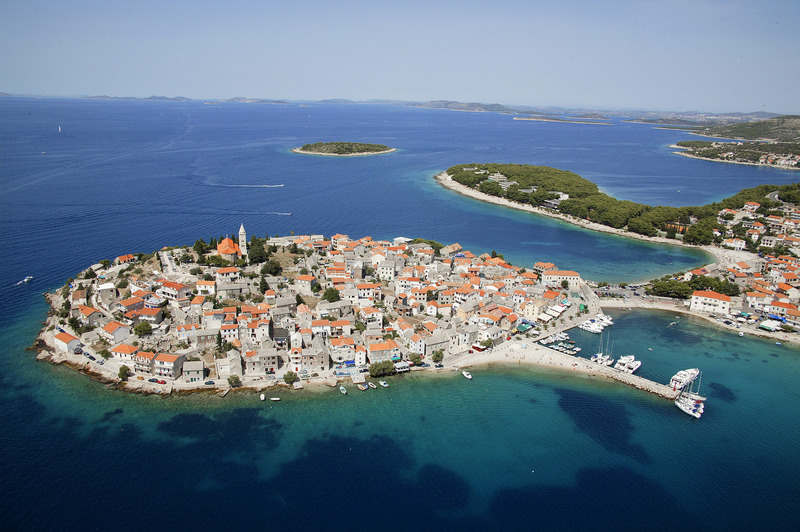 Come bike in Croatia, land of a thousand islands! 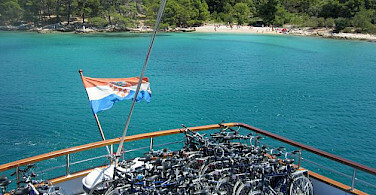 Check out all our amazing bike and boat tours in Croatia. Fly to the airport of Split which is about 6 km from your port of embarkation in Trogir. 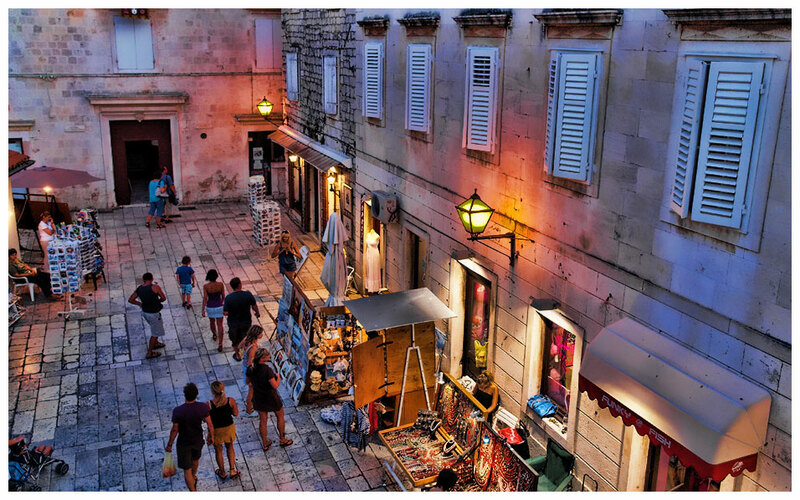 From the airport you can take a taxi to the ship at Harbor Trogir, approx. 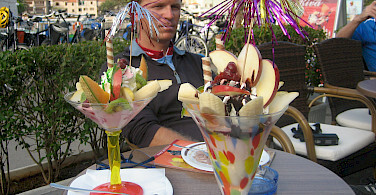 6 km away for ± 20 Euro. Electric are included in the tour price. Hybrid bicycles are available at a discounted price. This tour requires a basic level of fitness acquired from steady cycling. The tours will traverse heights of between 200 and 500 m with daily distances ranging between 11 to 35 mi. (18 to 55 km) through mountainous terrain. Tours can be completed without any time constraints. Participants will need to master long and steep climbs which present no problem with the use of an electric bike. Streets are mostly asphalted with little traffic. You can choose each day to cycle on your own with the maps and information provided or to join the two tour guides and group. Aboard the comfort plus boats, the Princess Diana or the Melody. 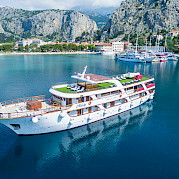 Saturday: After breakfast and disembarkation from the boat, a transfer will take you from Trogir to Plitvice Lakes, the most well-known of the Croatian National Parks. Upon arrival, you will have time to enjoy lunch and can then explore the park throughout the afternoon and evening. Night spent in a hotel near the park. Sunday: After breakfast, a transfer will bring you to Zagreb, where you can spend the day exploring Croatia’s amazing capital city. The old town, built by the Austro-Hungarian Empire, will charm you at every turn. 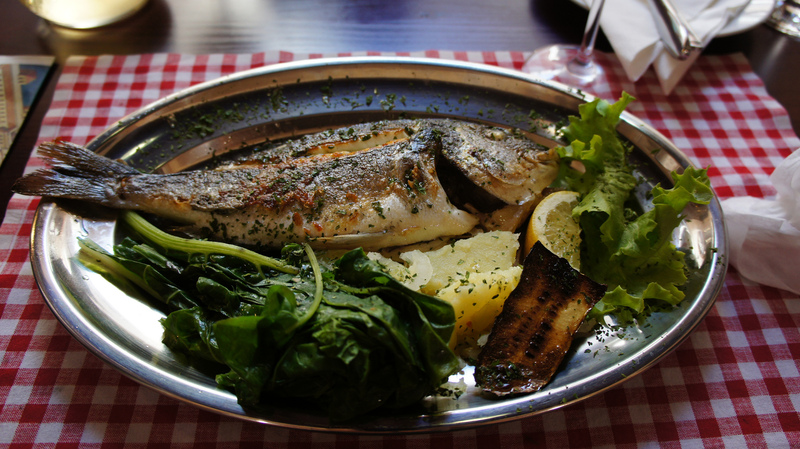 A 3-hour guided tour will take you to the Kaptol (center of the Roman Catholic Church in Croatia) and Gardec (the upper old town). 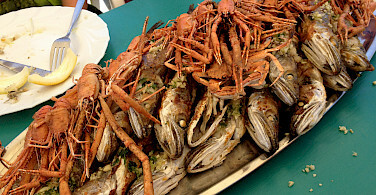 In the evening, enjoy dinner at a specially selected restaurant offering local cuisine. Night spend in a hotel in Zagreb’s town center. Monday: After breakfast, a transfer will take you to Zagreb airport for your journey home. 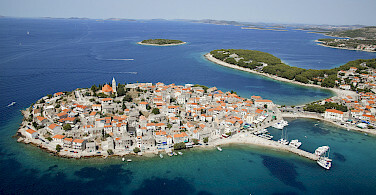 Individual arrival by car to Trogir or by plane to Split airport which is about 3 mi. (5 km) away from the harbor of Trogir. Check in is between 2 and 2:30 pm. 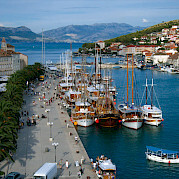 Be prompt as the boat will depart from the harbor in Trogir at about 3 pm. 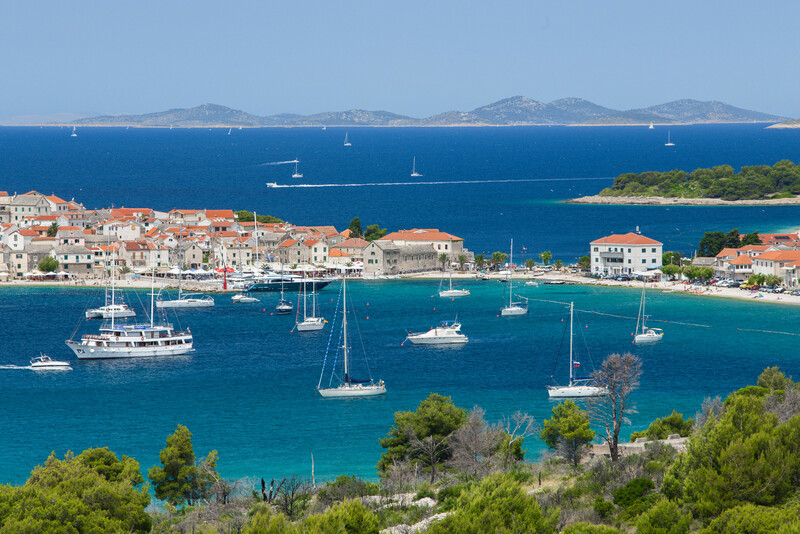 Covered with pine forests that reach the sea, the island of Rogoznica is a paradise. 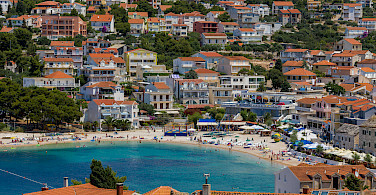 You may have opportunity to visit the the village of Rogoznica, a small fishermen's village, hidden in a deep bay well protected from the waves and open sea. 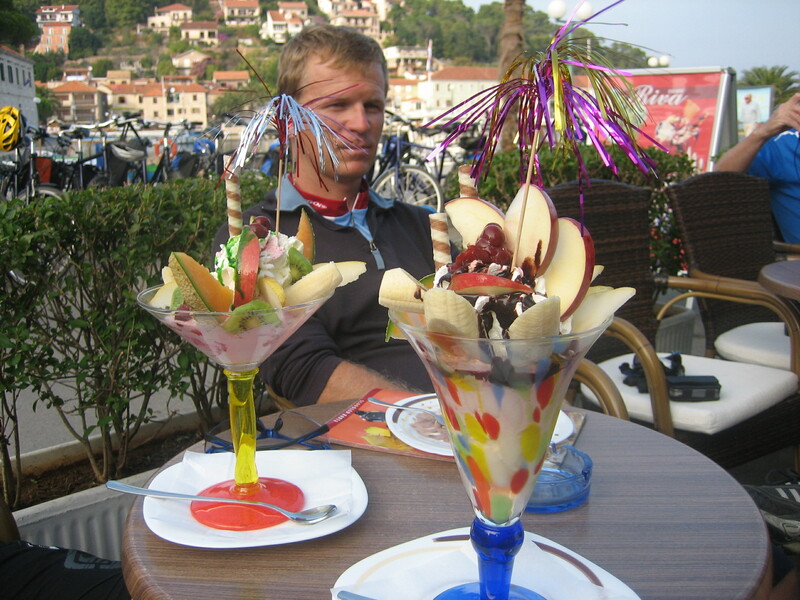 In the morning, the ship sails to Vodice where your cycling tour for today will begin. You will then cross the bridge to the island of Murter. 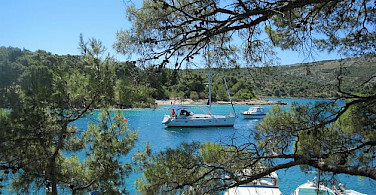 In Slanica, in the Northwest of the island, the boat awaits to cross over to the island of Dugi Otok. On the way, you pass by the National Park Kornati - an archipelago in crystal clear water which is known for its rich, underwater world. 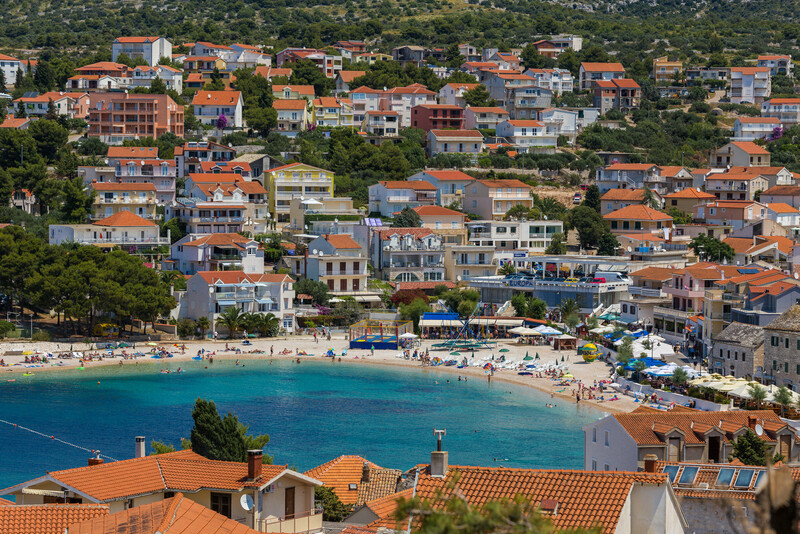 Today's destination is the Telašćica Bay. The Mir salt lake is situated in this nature park. At the end of the day, you can take a short hike to the impressive cliffs. In the local nature park, the Mir salt lake is situated. At the end of the day we take a short hike to the impressive cliffs before taking a short crossing by boat to the small seaside village of Sali for the night. Begin your ride from Sali along the almost traffic free island of Dugi Otok. The ride is panorama pure and our destination is the budding village of Božava, surrounded by pine forests, Tamarisks and Agaves. In Božava the boat awaits our arrival and we cast off for Zadar which for centuries was the absolute political, cultural and intellectual center of Dalmatia. The guide takes us on a walk through the lively city and shows us the fascinating facets of this extraordinary outdoor museum. Over 3,000 years characterize the city. As we walk we will learn of the city and its colorful past. Overnight stay in Zadar. During breakfast, the boat takes you to Preko, on the island of Ugljan, from where you will ride to Tkon on the island of Pašman. 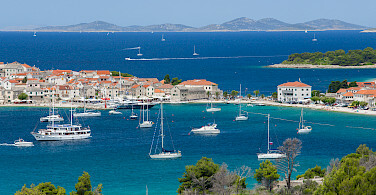 The two islands are connected by a bridge from which the first of the Kornati Islands can be seen. You cycle along the east coast of the island, next to the sea with views of the mainland. 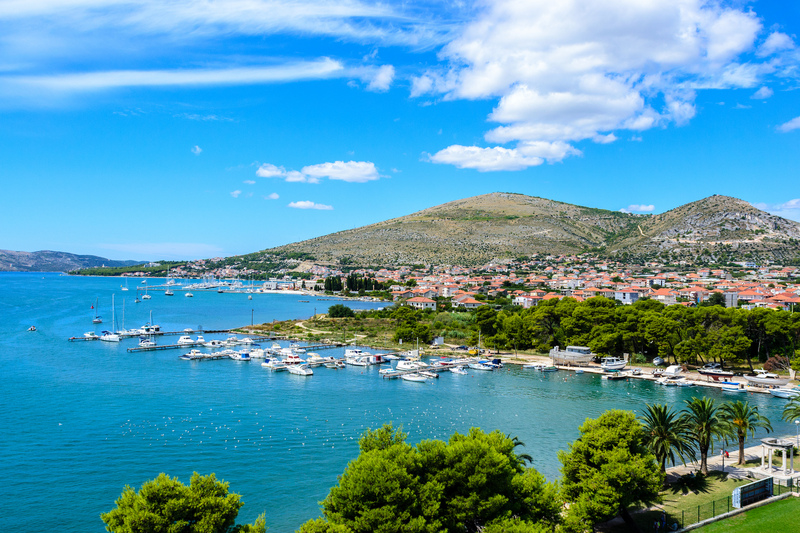 Once you arrive in Tkon, board the boat and cross over to Vodice, a popular Dalmatian holiday destination on the mainland where you will spend the night. 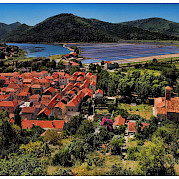 A scenic tour leads you from Vodice along quiet roads through quiet villages of the Dalmatian hinterland to the beautiful city of Skradin at the foot of the Krka Canyon. 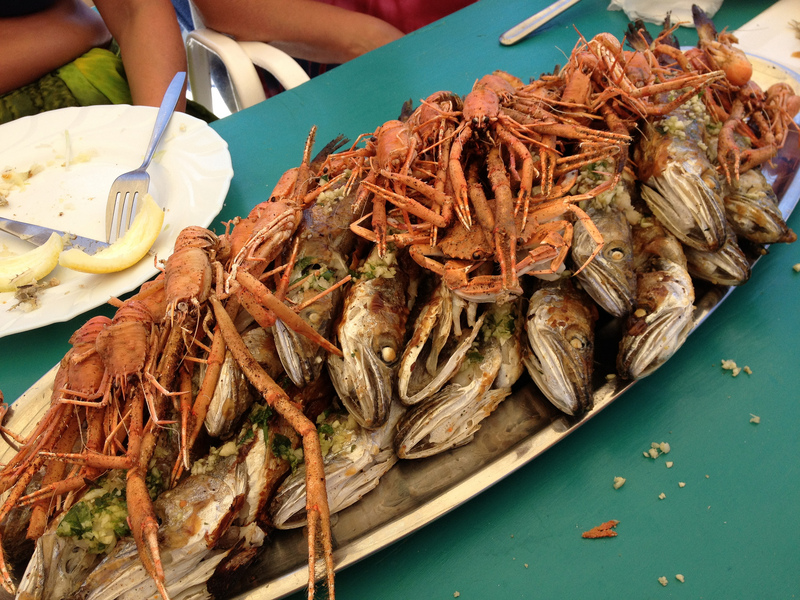 In the afternoon, your guides will invite you to sample some local specialities, of which there are plenty in Dalmatia. The night is spent in Skradin. After breakfast it is time to discover the unique naturally formed waterfalls of the national park of the Krka-Canyon. 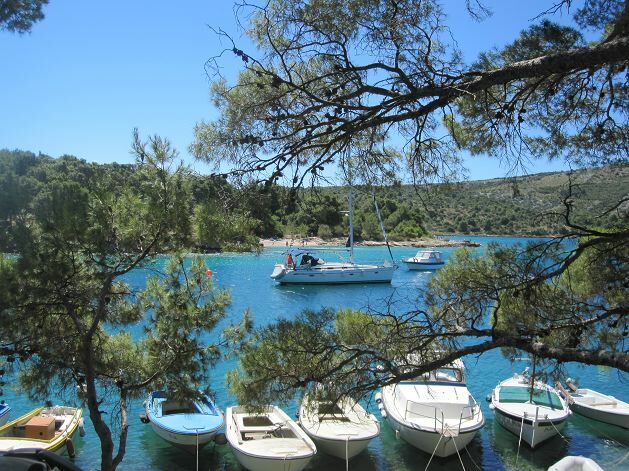 Afterwards the boat will take you to Šibenik out of the Krka river mouth and into the Adriatic. Here the Cathedral of St. Jacob is under UNESCO-World-Heritage protection and is regarded as the most magnificent sacral buildings on the Adriatic coast. 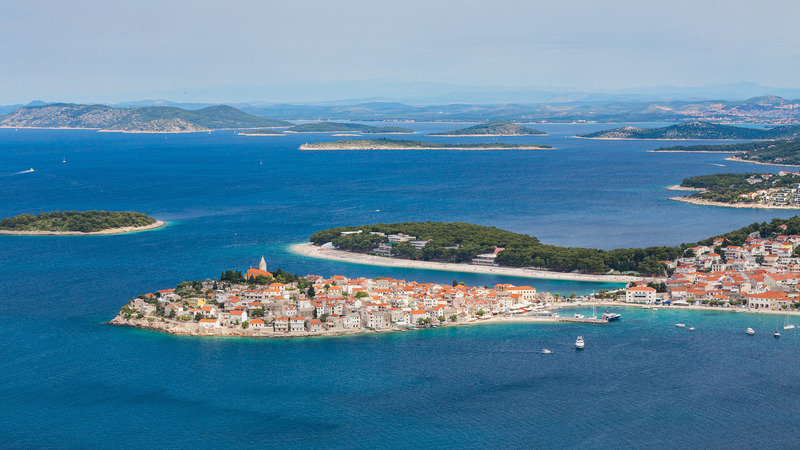 The old town of Šibenik is also worth a visit before the boat casts off to Primošten. 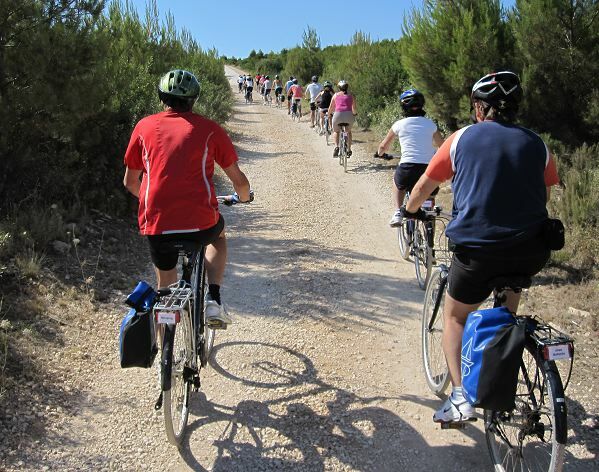 In the morning, your last bike tour goes from Primošten through the hinterlands past rural villages to Rogoznica. 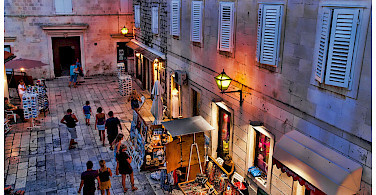 In the afternoon, you have the chance to stroll through the UNESCO world heritage city of Trogir. A cheerful evening meal on board the boat gives you time to celebrate the success of the week with fellow travelers and tour guides.